Our unique non-toxic eco-friendly system uses the PFM Blue technology system. Which works on a molecular level breaking up the diesel bug with a magnetic field and then with a specialised light source known as Electromagnetic Photochemistry kills the diesel bug. Based on the results from intense testing over the years by international and local laboratories, we are confident that all the microbes that cause the Diesel Bug will be killed and all the moisture in the fuel will be removed. As a matter of fact, the moisture is the main source for the Diesel Bug to feed on. 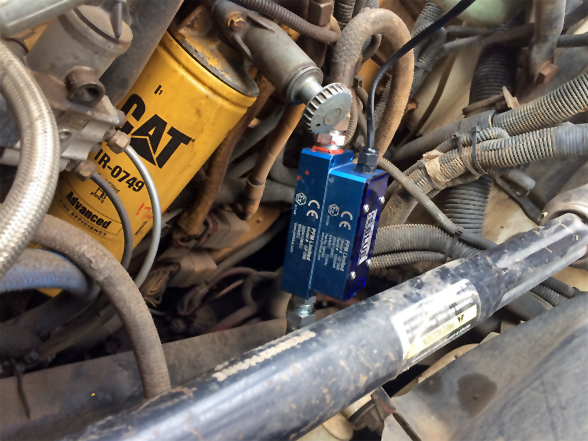 The PFM Blue Magnetic units are fitted in line with your diesel fuel delivery system which ensures that the diesel fuel is cleaned and conditioned on a molecular level breaking up any fuel contamination you may have picked up from fuelling up. Does all this sound a bit too technical? Please have a look at the three samples of diesel fuel below. 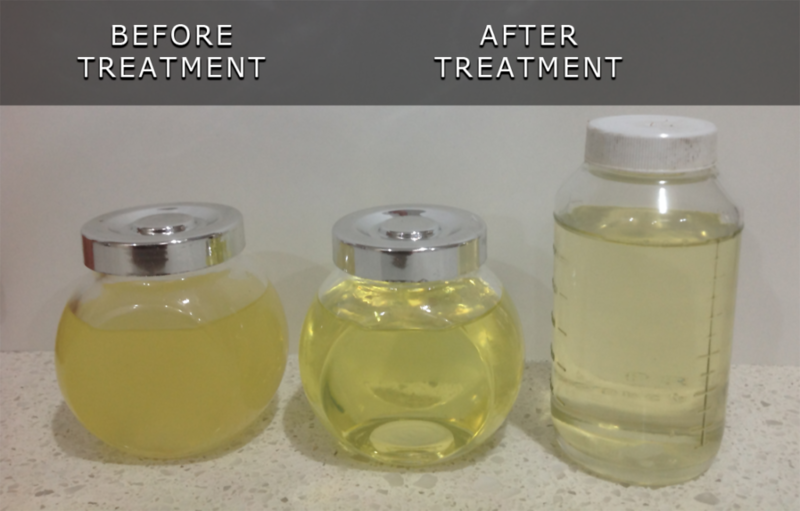 The glass jar on the left contains untreated diesel which contains water and other contaminants, however, the diesel fuel inside the other two containers has been treated and it looks very clean. diesel, biodiesel and kerosene (jet fuel). All it takes is a droplet of water and under the right climatic conditions organisms can replicate rapidly in just a few short days to form a thick mat of biomass (sludge). potential to cause damage and disruptions to expensive diesel-powered equipment. You may experience any of the following symptoms. Your ultimate line of defence against costly damage and disruptions! 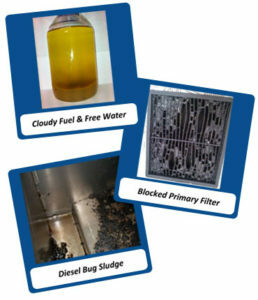 Utilising non-toxic, eco-friendly technologies in a robust and compact unit the PFM BLUE range provides a unique fuel quality treatment by disrupting and then killing the microbes (Diesel Bug) as they pass through the unit without producing the slurry created by traditional treatment methods, namely after-market additives. In addition, the PFM BLUE unit also reduces the water/moisture content of fuel thereby stopping Diesel Bug growth from occurring, with regular circulation water. Levels are easily reduced and maintained below 100 ppm (0.01% w/w). Without water, biomass (sludge) cannot continue to build up and cause disruption to engine operations and damage to tanks and fuel system components. 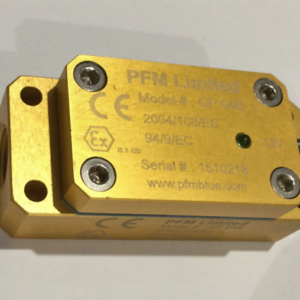 There are two ways to utilise the PFM BLUE units. The units can be installed either in combination with standard filtration as an inline solution on the engine supply line from the tank or as part of a fuel conditioning transfer/circulation/polishing system. 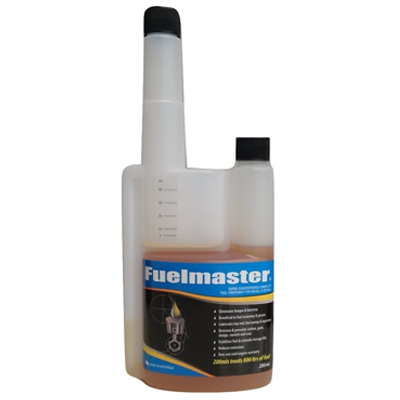 Depending on the application both methods will offer protection to the fuel system and allow your engines to operate at the manufacturers intended performance levels. units, suitable for maintaining tanks up to 3000 Litres. A variety of sizes for different applications is available. Making sure your Family is safe on the water to come back Home. Aquamarine Repair Services can rebuild your engine even if that means having to build a fully reconditioned engine from scratch. 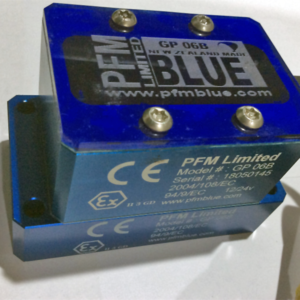 PFM Blue is a component which is part of the mobile cleaning machine used by Aquamarine Repair Services to clean the diesel fuel inside boats, tanks, vehicles, trains and many other forms of machinery. 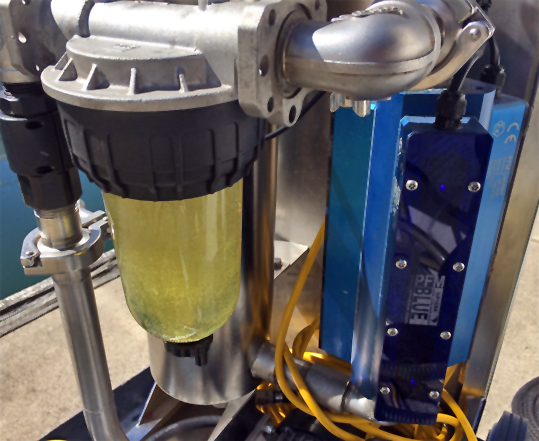 See our portable diesel cleaning system in action.